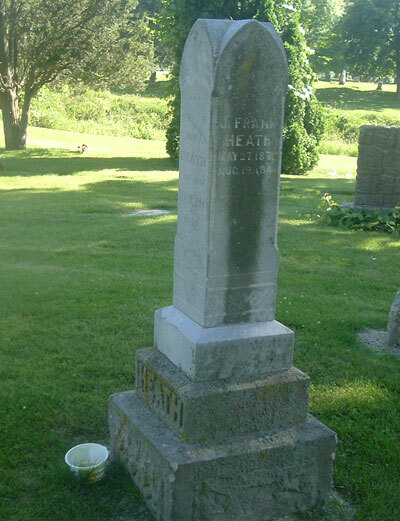 John F. Heath died Feb 13 1891 aged 43 years 10 months. J Frank Heath May 27 1876 - Aug 19 1941. Eleanor A. Wanless wife of John F. Heath. Who died Oct 11 1893 aged 44 years and 4 months.